Tim Brown is the CEO of IDEO, the global design and innovation company behind projects such as the first Apple mouse and the first notebook style computer. The team of around 800 people are located around the world and they come from a wide variety of backgrounds–everything from chefs, practicing physicians, software engineers, to filmmakers and everything in between. But they all have one thing in common, a methodology of design. 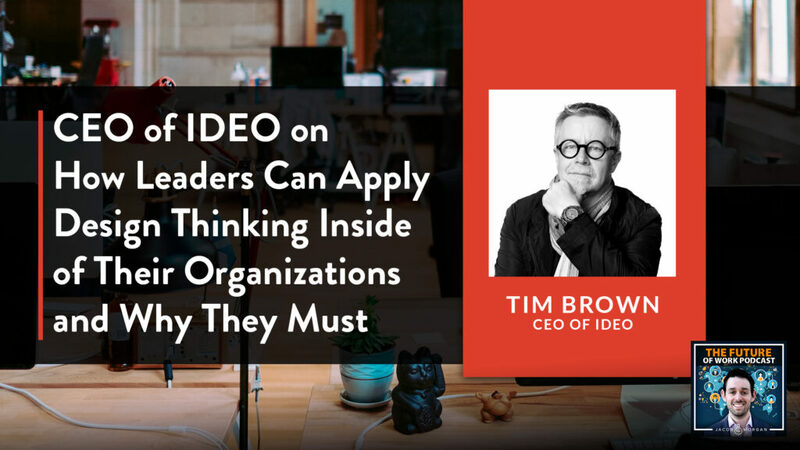 When asked for advice on how individual employees can start bringing in design thinking to their organizations Tim suggests they first observe the organization and keep a record of what they notice. This is true especially newer employees, they will observe different things than an employee who has been in the organization for years would. Always keep a notebook or sketchbook with thoughts, ideas, questions, observations, etc…And then when you get a chance speak up about what you notice and things you see that could be improved upon.